At Star Wars Celebration in Anaheim, California in 2015, Star Wars fangirls Amy Ratcliffe and Johnamarie Macias organized an #AhsokaLives Day to celebrate the return of Ahsoka Tano in Star Wars: Rebels. 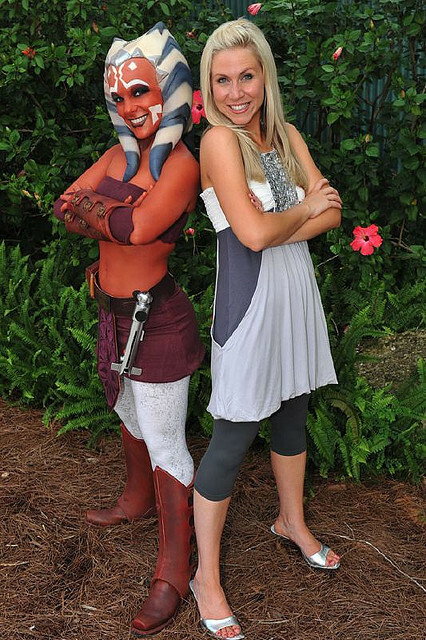 Men and women from across the globe gathered to mingle with each other and show off their favorite Ahsoka inspired fashions. 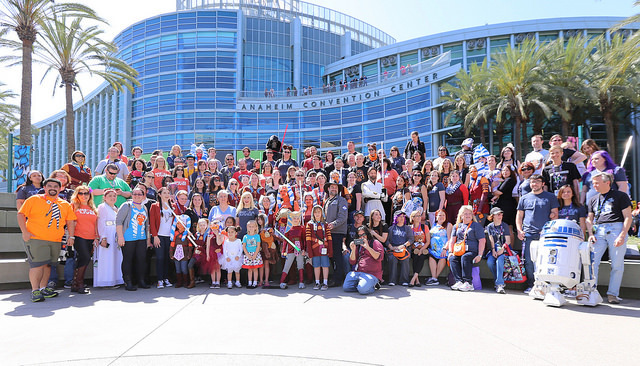 Little girls were dressed in Ahsoka Tano cosplay tops, Ashley Eckstein was wearing her popular "Ahsoka Lives" T-shirt, and the director of Star Wars: The Clone Wars, Dave Filoni, even made an appearance to show off his love for Ahsoka. 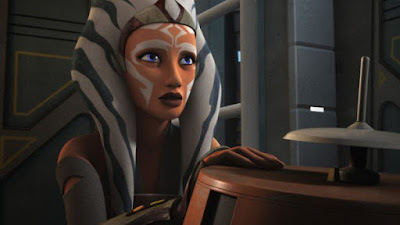 Eight years after the introduction of Ahsoka Tano, life for female Star Wars fans has changed drastically. 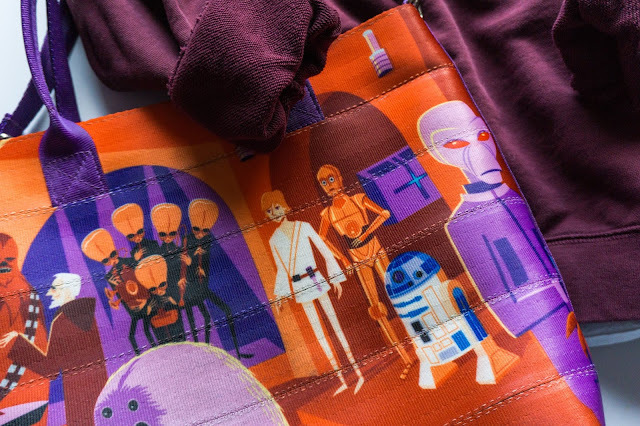 Before this time, it was almost impossible to find Star Wars clothes made specifically for girls. The ratio of female characters in Star Wars compared to male character was immensely off balance. 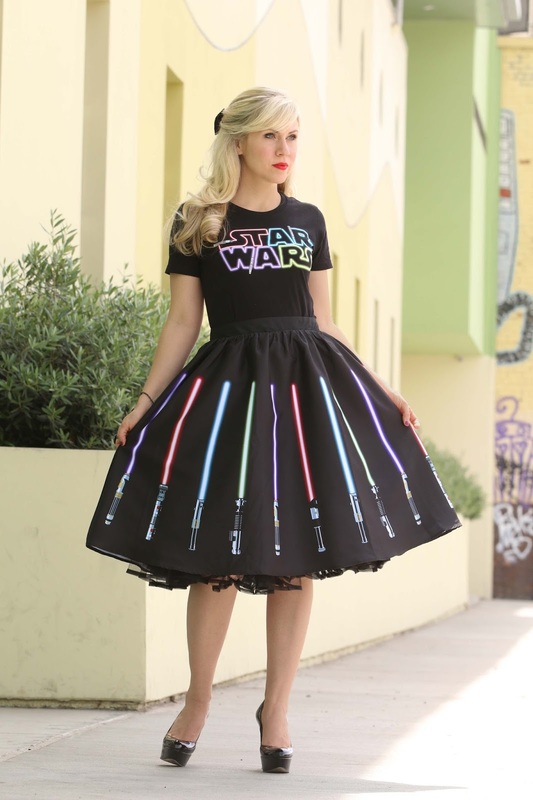 Now women can walk into practically any department store and find a Star Wars shirt in their clothing section. 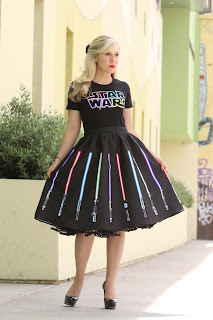 Hot Topic and Torrid carry Eckstein's line of Star Wars fashions in styles ranging from sizes XS-6X to make sure every type of fangirl can proudly wear Her Universe. 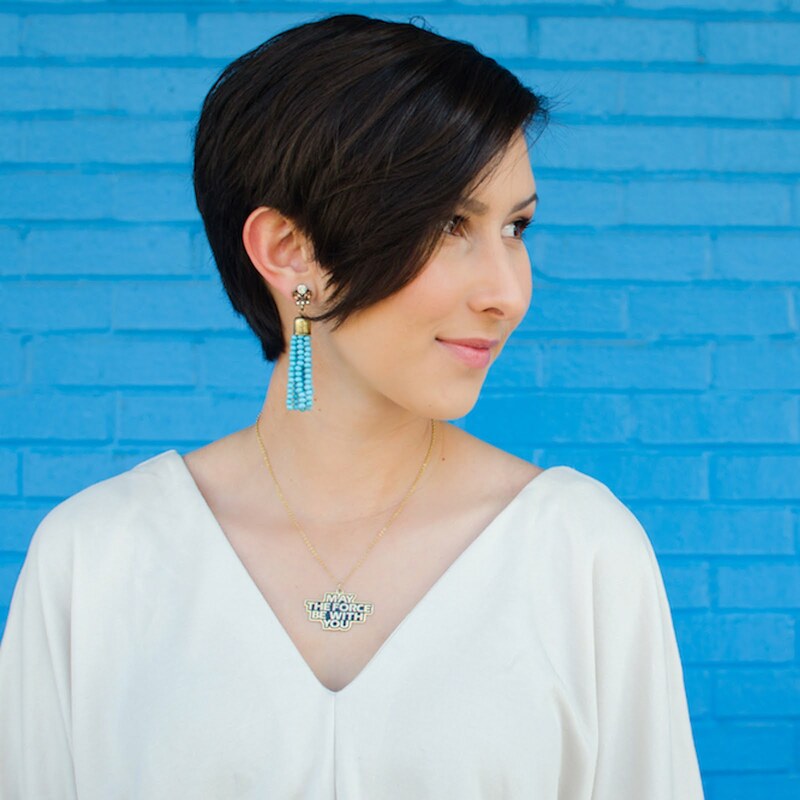 Characters like Sabine and Hera from Star Wars: Rebels are inspiring young girls to be strong during difficult times. Rey and Phasma from The Force Awakens are proving that female characters deserve more than just a background role with no speaking lines. Ahsoka Tano was just the beginning of a world-wide movement to push female characters and their fans into the spotlight.